Get rid of the doom and gloom. 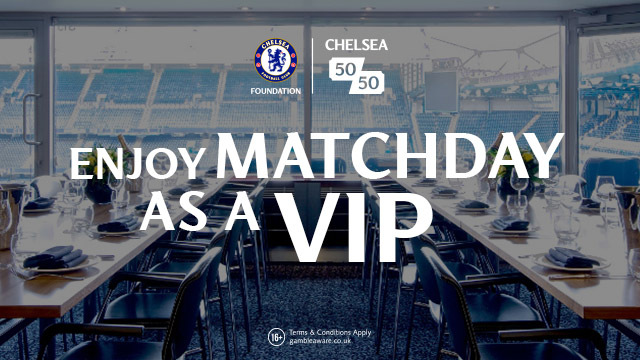 It's time for Chelsea fans to focus on the players that are here. 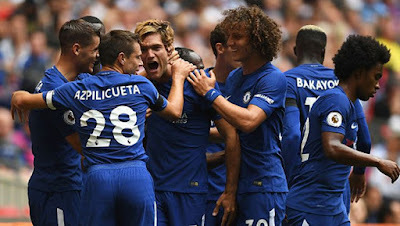 Despite all the doom and gloom from those so-called Chelsea fans around the world, looking at our squad now heading into the first half of the season with the new signings that we HAVE made, I am pleased that we have added quality this summer. 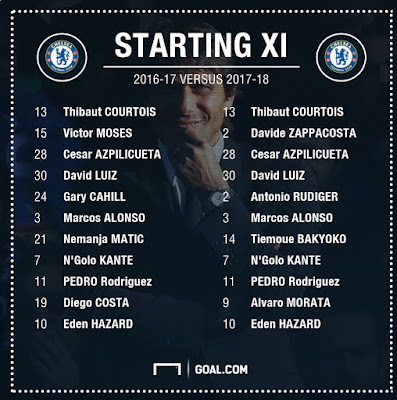 Now, let's also focus on the players that are not named in that starting eleven put forward by Goal.com and you can see how strong we are: Willy Caballero, Victor Moses, Gary Cahill, Cesc Fabregas, Danny Drinkwater, Willian and Michy Batshuayi. That's not including Andreas Christensen either. Based on the first team suggested above, we need to establish whether or not this years first team is an upgrade on last season. Davide Zappacosta is an upgrade from a defensive point of view on Victor Moses. We are yet to see how good he is going forward but all reports indicate that he is. 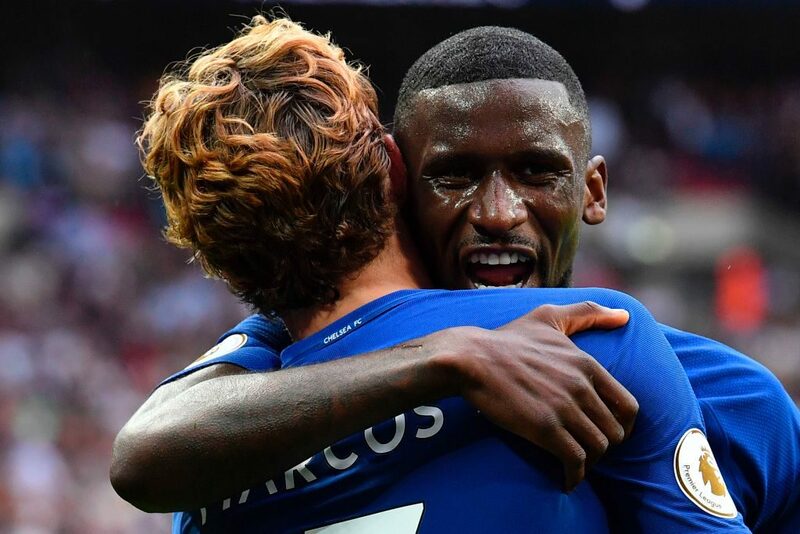 Antonio Rudiger for Gary Cahill? I am not so sure as I still rate Cahill for his defensive instinct to make that last ditch tackle and to literally throw himself at the ball. Tiemoue Bakayoko for Nemanja Matic we hope proves to be an upgrade on Matic. 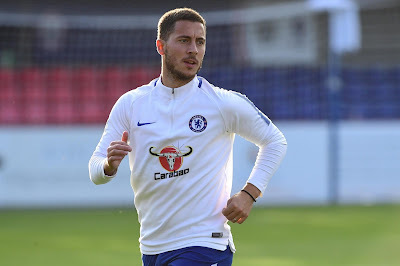 The big Serbian midfielder has the advantage of Premier League experience but that will come in time for Bakayoko. He French midfielder has age on his side. 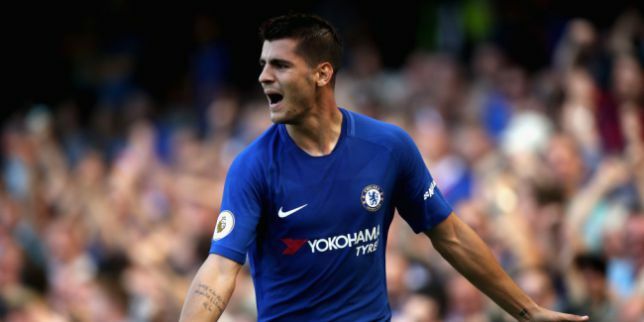 Alvaro Morata for Diego Costa is an upgrade for me and only time will tell with Morata after the excellent start he has made for us this season. He will outscore Costa at Chelsea and in my opinion is far more mobile than Costa. The only thing he lacks compared to Diego is the nasty streak that enables him to dominate and bully defenders. 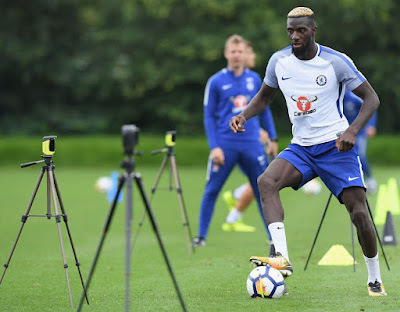 The one thing that is noticeable about our squad this season is that we have a number of players that can play in more than one single position. We have players that can play in at least two positions whether that's as a centre-back, full-back or as a wing-back. As a deep-lying midfielder or attacking midfielder and as out and out wingers or as a number ten behind our striker. 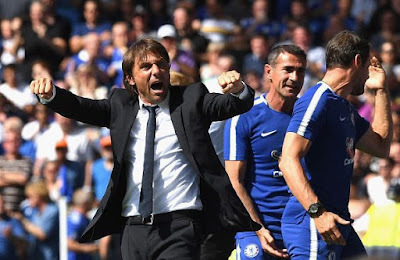 That's what is key for Antonio Conte this season as he will have little choice but to rotate his players as we come to terms with Champions League football at Chelsea in addition to our domestic competitions once again and you can check out our chances of success this season on online betting sites. 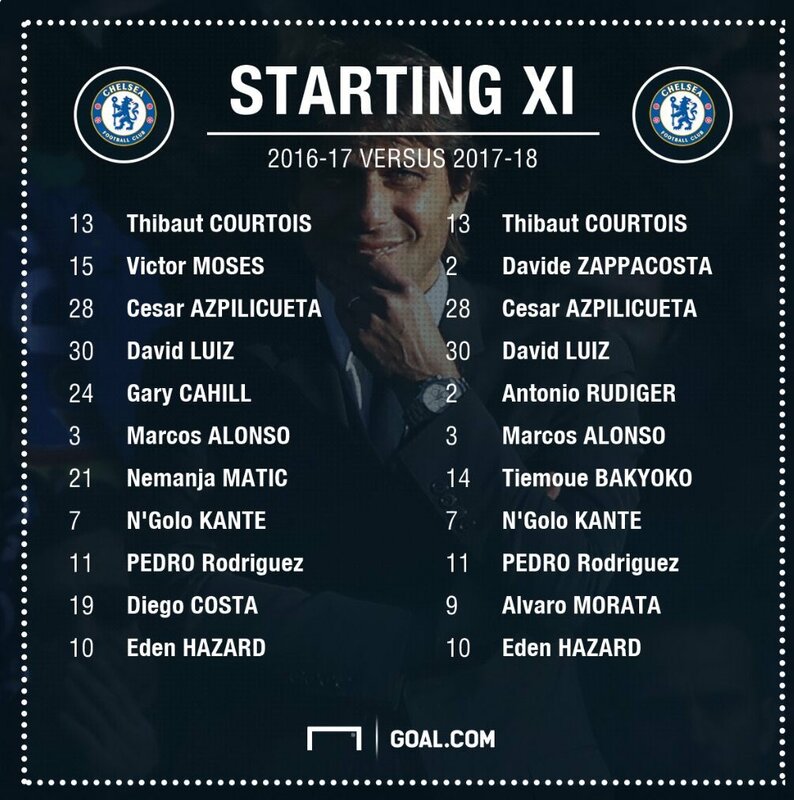 When everyone is fit and available for Antonio Conte, Chelsea's first team is right up there with the best there is challenging us for the title. Most importantly, Chelsea have the right balance to their team compared to others. For example, Manchester City and Manchester United are useless in the centre of their defence and if they lose one of those players, they are in trouble. 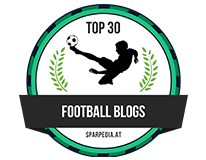 Liverpool and Arsenal have the same problems at the back and unless they can sort themselves out, all four sides will find themselves behind Chelsea and Tottenham once again in the title race. Shake off this doom and gloom Chelsea face. Let's look at the positives from our window and focus on the players that ARE here rather than the ones that are not. Let's not forget, we still have this guy at the Bridge!